In our third live lesson we are learning how to play triplets! But not only playing triplets… Learning to play the triplet with different hand patterns and accent patterns while utilizing the four basic stroke types. Yes I said it again… The Four Basic Stroke Types! I can’t stress how important it is to know your stick heights, and movements. Let’s jump into it! Now that we are comfortable counting triplets it’s time to add the accents along with the different sticking combinations. Tip! 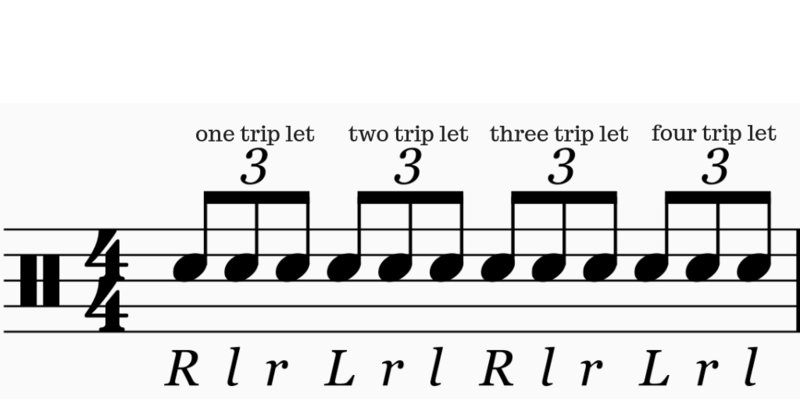 First learn the triplet pattern at a slow tempo using alternating strokes so that you have an understanding of the rhythm. Next move on to the different exercises applying the different sticking patterns and accent patterns. Remember to keep those stroke types in check! 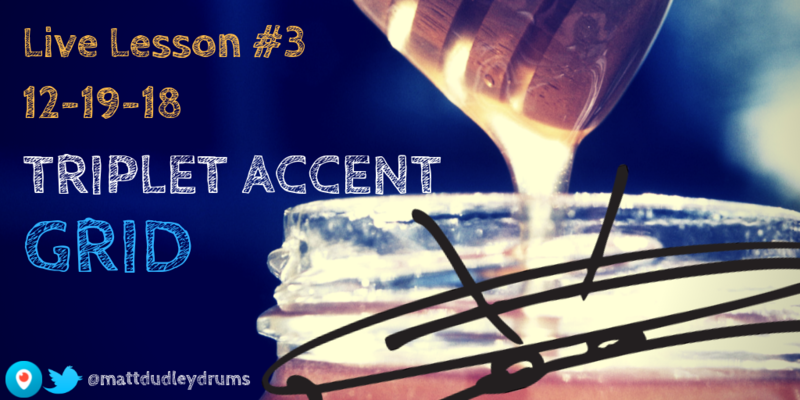 All non accented notes should be played low (2”-3”). Play to a metronome using eighth note triplets starting at 40 BPM so that you can execute each note accurately. Next try playing to quarter note pulse on the metronome. Slowly bump up the tempo as you practice in increments of 5.